I am a writer and illustrator with a strong background in fashion design and fine art. I also work as a brand voice consultant assisting designers and artists in the assertion of their unique voice through written word. To me, being a creative cannot be divided into clear-cut job titles. I help other creatives tell their story in the most compelling way possible, whatever that requires. I studied fashion and fine art at Parsons Paris then transferred to Parsons New York where I graduated with a degree in menswear design. 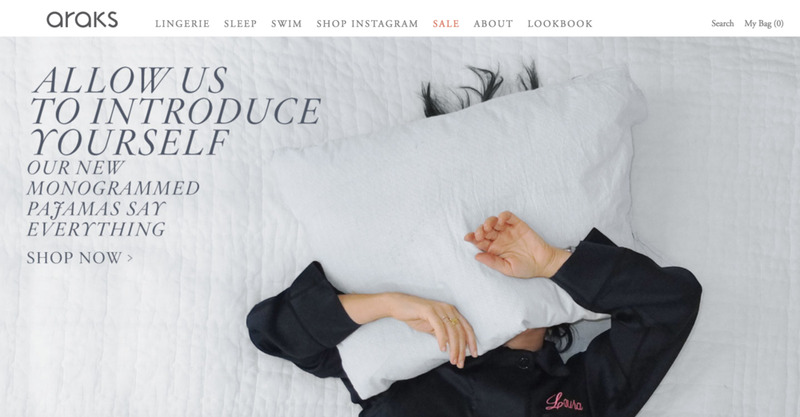 After working in fashion design for a year, I transitioned into writing as the sole copywriter and content editor for e-commerce label, La Garçonne. After exploring many aspects of the fashion industry, I decided to go freelance in order to tell the stories of smaller, more inspiring clients and be able to pursue my own art. For any creative field from writing to illustration, the key is balancing refinement with expression. I think other writers and artists tend to get caught up in the end result when the focus should be on telling the story. When approaching new projects, I try and utilize everything I've learned in the past. Writing about design takes a knowledge of all aspects of design, not simply a knowledge of writing. I have quite a few projects going on at the moment. In terms of consulting, I've been working with a number of fashion designers, fine artists, and creatives on written content for their sites and social media channels. At the same time, I've been collaborating with a fellow ilovecreatives member as a regular contributing writer to The Elysian Edit, Ebay, and Food 52. I am also working on an exciting project with an innovative model management agency creating illustrations for their rebranding. I honestly feel very connected to a broad range of styles. In my own work, I aim to create powerful emotion in the least imposing way possible. My illustrations are a good example of this concept. I relate most to work that is compelling and thought-provoking without being too brash. Definitely illustration. I love words and collaborating but I'd love to pursue more of my own visual work. I think my biggest setback is finding a description that encompasses everything I do. If I feel a connection with a project I want to bring it to it's full potential and assist with everything. I have a wide background of knowledge and It's often hard not to get trapped into one role. Working from home most of the time, I really wish I could be more organized. If I had someone who could tidy my apartment and methodize my computer I think they would deserve more than $20/hour. I wish I could tell my younger self to breathe more, accept when things don't go as planned, and move forward with a new experience under my belt. Sometimes things just happen. I'd like to know more about HTML and coding. I think it's a fascinating subject that I'm just beginning to discover. There's so much to learn. I'm always interested in discovering the unique stories behind brands and helping them be told. I would also love to express more of my own opinions as a contributing writer on anything fashion, lifestyle, travel, or food related. Lastly, I would love to take on more illustration projects for clients who feel a connection to my aesthetic and style. I love working with clients who are passionate about their vision but need help refining their words. I find the most fruitful partnerships come from people who are open to new ideas and take the time to listen to those around them. My pricing really depends on the project. When beginning a partnership I like to have my client walk me through what they are looking for before determining cost. I tend to charge on a project basis opposed to an hourly rate as I feel the results are more successful (and less stressful) for both myself and my clients. I'm always open to e-mails! Just tell me a bit about your project and we can work from there. Walking without destination and drawing daily.